When you update your controller with the latest software, you get full use of your Xbox One Stereo Headset Adapter capabilities, plus important controller improvements. You can update your controller wirelessly or via USB. 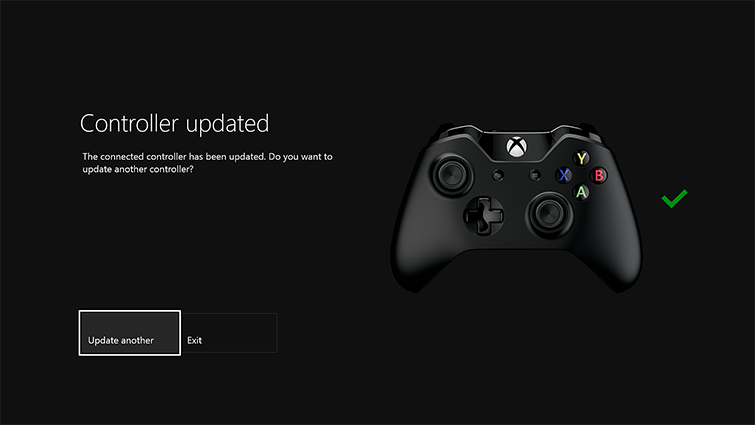 For assistance with troubleshooting update issues, see Troubleshoot update issues with your Xbox One Controller. 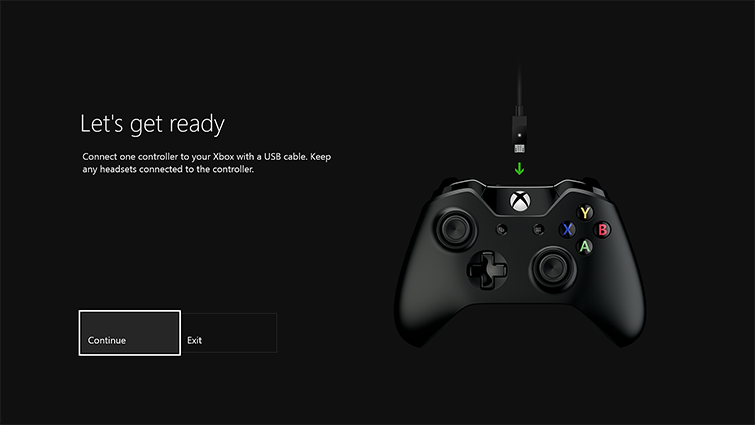 An Xbox One Wireless Controller purchased in or after June 2015 can take updates wirelessly without connecting via USB cable. This controller has a small, circular 3.5-mm port on the bottom of the controller; controllers without this port must update via USB cable. Sign in to Xbox Live on your Xbox One console and install the latest system update if prompted to do so. If you have a stereo headset adapter, plug it into the bottom of your controller so it can also get updates. If you're using a stereo headset adapter, plug in a headset (a headset must be plugged in so the adapter will turn on). Select System > Kinect & devices > Devices & accessories, and then select the controller you want to update. Select Device info, select the Firmware version box, and then select Continue. When the update is complete, you can update additional controllers. If they can only be updated via USB, see Update via USB. Otherwise, select the Update another button on the screen after the first update is complete, and then follow the steps. The auto-detect feature of this update may not work immediately if you plugged your stereo headset adapter into the controller while downloading a system update, or while the console was turned off. To resolve this, go to the Home screen and unplug the adapter. Then, re-plug the adapter into the controller. You only need to update your controller one time to use the stereo headset adapter. However, if you plan to use the stereo headset adapter with other Xbox One controllers, you’ll need to follow this process for each controller. Additionally, check for new updates periodically as Xbox frequently ships new controller features and improvements. If you try to update a controller that was already updated, the system will check the controller and proceed to the success screen within a few seconds to indicate that it’s already updated. If you have one, plug the stereo headset adapter into the bottom of your controller so it can also get updates. Plug the big end of the included USB cable into the port on the left side of the console, around the corner from the disc tray. 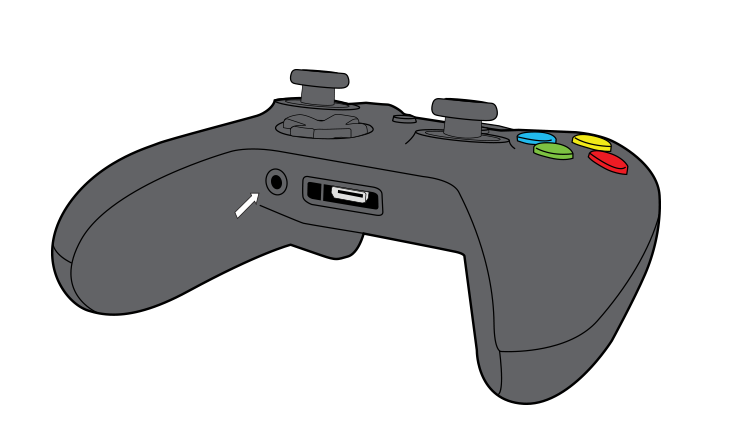 Plug the small end of the USB cable into the top of the controller. If instructions to install the update don’t automatically appear, you can start the process manually. To do this, press the Xbox button to open the guide, select System > Kinect & devices > Devices & accessories, and then select the controller you want to update. Select Device info, select the Firmware version box, and then select Continue. When the update is complete, unplug the USB cable. If you have additional controllers to update, connect them now, one at a time, select the Update another button on the screen, and then follow the steps. Press the Xbox button on the wireless controller to turn it on. Your controller is now up to date, and you’re ready to use your Xbox One Stereo Headset Adapter. If you have more than one controller connected via USB cable, the update will tell you to disconnect the other controller and update just one controller at a time. Get the app from Microsoft Windows 10 by searching for "Xbox Accessories." Launch the Xbox Accessories app. Connect your Xbox One Wireless Controller by using a USB cable or the Xbox Wireless Adapter for Windows. Note You'll be prompted to update to Windows 10 Anniversary Edition if you haven't yet done so. When the controller is connected, you'll see the message Update Required if an update is mandatory. Install the update. Note You can also go to Device Info to check for an update. The Xbox Accessories app is available only on Windows 10. Controllers that don't have a built-in 3.5-mm audio port must be updated using a USB connection and must have the Windows 10 TH2 Update (or later). Updating the controller over Bluetooth is not supported. Would you like to contact Support regarding the "Update your Xbox One Controller" issue you were reading about or a different issue?